Finland is the latest European country to suffer a terrorist attack yesterday as two people were killed and at least 6 others injured after a stabbing incident in the south-western city of Turku. According to reports Police shot the attacker in the leg and arrested him, he was known to Police. One of the victims, a woman, was stabbed several times in the neck on Friday. The victims were adults and three are in intensive care.Police have raided a flat and made a number of arrests overnight. "We are investigating what their role is in this. 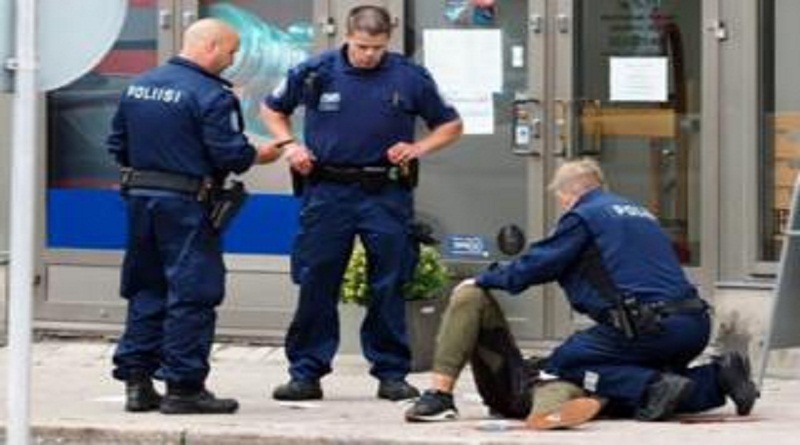 Whether they had something to do with this act, or if they were just involved with this person," detective superintendent Markus Laine told Finnish news agency SST.The raided flat is in the Varissuo area of Turku, home to a large immigrant population.Earlier, Interior Minister Paula Risikko described the suspect as "foreign-looking" and linked the attack to the murder of 14 people in Barcelona, according to the BBC.